Weshman extends to the end of the 2021 season, having joined the British super-team in 2010. LONDON (AFP) — Geraint Thomas has signed a new three-year deal with Team Sky, extending his stay until the end of the 2021 season, it was announced Sunday. 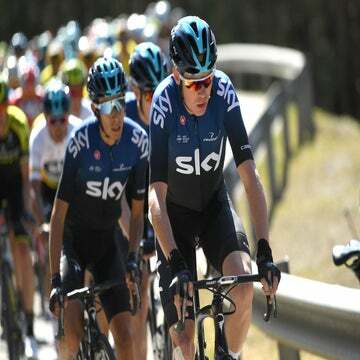 After a career-topping season during which the Welshman won the Tour de France and Critérium du Dauphiné, Thomas has now confirmed he will stay with Team Sky until the end of the 2021 season. “I’m pleased it’s sorted — and am delighted to be staying with the team,” said Thomas, who joined the team in 2010. “He’s been with us since the start of our journey and he’s continued to develop and improve year after year,” team principal Dave Brailsford said.